Time to Roof has been in the Charlotte roofing business for more than 20	years. That should tell you something. You don’t last for two decades	in any industry without offering exceptional service and value, which	is exactly what Time to Roof provides. You can expect reliable, professional	service and high-quality products every time you call upon Time to Roof. Residential roofing: It doesn’t matter what kind of roof you have or what kind of roof	you want. Time to Roof can handle the job. From traditional shingles to	tile, metal, and more, we have decades of experience in a wide range of	materials. We also service and install roofs for sunrooms and porches. Commercial roofing: Don’t trust to anything less than the best for the roof of your business. Our warrantied, energy-efficient roofing systems will make your facility	a more comfortable, safe, and profitable place to work. We offer complete	waterproofing solutions and fluid applied roofing systems as well. Roof repair: If your roof still has some life left in it, we’ll be the first to	tell you. 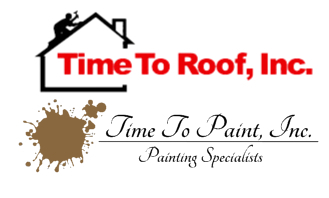 At Time to Roof, we understand how important it is to maximize	your return on investment. Our roofing experts are trained to recognize	which roofs can be sufficiently repaired and which roofs can’t. We’ll	walk you through your options and help you identify a solution. Time to Roof Has An A+ Rating from the BBB! Our commitment to quality and service makes it no surprise that Time to	Roof has been accredited as an A+ business by the Better Business Bureau	(BBB). We’re also happy to provide references from past residential	or commercial clients. We understand how important a safe and reliable	roof is to every home and business in Charlotte, and how important it	is to earn your trust. To speak with us in person about your Charlotte	roofing needs,	contact us today at (980) 722-2759 to set up a free estimate.